1 year old baby food is more varied. At this time, babies can switch from consuming breastmilk to cow's milk. You can now also give them a variety of solid textured snacks, especially if you have weaned them now. Even so, avoid giving low-fat milk because at this age babies need extra fat for healthy brain growth. You can provide milk or new low-fat foods when the two-year-old baby is supervised or advised by a nutritionist. At the age of 1 year there will be many changes in the baby's diet. His body weight will grow very fast, reaching three times the body weight at birth. However, after that there is a possibility that weight loss will slow down and his appetite changes due to changes in activity. Don't be surprised when you find a baby who likes certain foods this week, but doesn't like him at all the following week. Changes in diet that may occur is that during the day the baby eats a lot, but at night it is not appetizing to eat. This is normal in 1-year-old babies. You don't need to be confused in choosing a 1-year-old baby food menu. You can try some of the recipes below. Seafood - mix salmon with 2 tablespoons cheese. Mix well and mix with mashed potatoes. Watermelon - destroy two seedless watermelon bowls. Add one strawberry bowl and ¼ cup of vanilla flavored yogurt. Cool and ready to serve. Banana - cut the banana around 2 cm. Add sweet, thick chocolate milk. Serve it as a snack. Nuts - boil and mash nuts (red beans or other types of beans), then add yogurt. Ready to serve. Pancakes - You can use instant pancake dough. After cooking, add yogurt and fruit on top. Although many food ingredients can be made as a 1-year-old baby food menu, the timing of feeding still needs to be adjusted. The recommended time is three times the main meal and 2-3 times a meal. Give a small portion because the baby's stomach capacity is still small at this age. In addition, babies cannot eat large quantities at one meal. 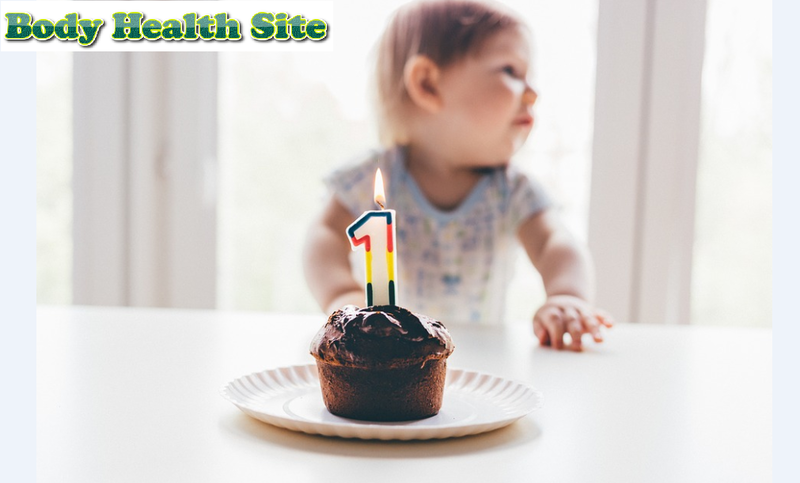 Besides being varied, 1-year-old baby food can be compared to food for adults, but make sure that the food does not contain a lot of salt. Therefore, avoid providing fast food to 1-year-old babies because fast food generally contains a lot of salt. 1-year-old babies are interested in eating alone. Give the opportunity to practice his fingers. Occasionally feeding food to the mouth is also okay because it is also effective in training the motor coordination system. Give a spoon so the baby is more interested in eating. Although sometimes it is not right to put food into your mouth using a spoon, eating it yourself can help him practice holding the tableware. Of course you still have to help in feeding the food so that the eating process becomes faster, especially when the baby is hungry. Even though 1-year-old baby food is easier, you still have to be careful in giving it. Avoid giving food that might make it choke, such as fruit that is cut too large or beans that are hard to chew. So it is recommended to always accompany the baby at each meal time. 0 Response to "Let's Get Ready to Provide the Right 1 Year Baby Food"